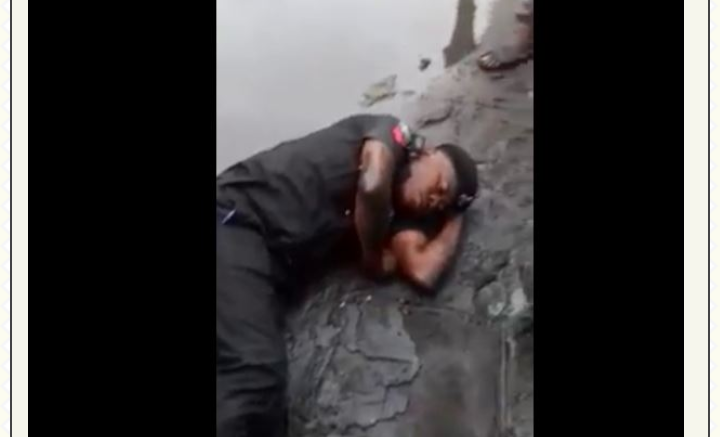 Below is a video of a Nigerian police officer sleeping in Mud after allegedly getting drunk with Alcohol. The footage made available to our source shows some youths laughing and jeering at the officer who doesn't seem to know where he is. The incident is believed to have occurred in the eastern part of the country.